Homeowners in Central Florida are enjoying warm climate most of the year. However, there are months when it gets too cold that you simply need to turn on your home’s heater. When you're a property owner, whether it's commercial or residential, you know for sure that you absolutely need to have a ready heating system when you need it the most. One of the most common concerns with heating systems, however, is how it hugely affect energy bills. Depending on the area of your property or the space that needs heating, your energy costs may vary. But if you work with a reliable contractor such as Eggert Cooling & Heating Solutions, we can give you the assurance that we will help you find ways to get the best kind of heating system for your home without hurting your budget. Whether you have an old heating unit that needs replacement or if you’re finally getting a brand new heating system for your home, we are here to help you. We offer energy efficient products and our service team will install these for you in a timely manner. We look for heating equipment from reliable brands that would be perfect for your property. We also continually train our team so that we can cater to all of your cooling and heating-related needs. 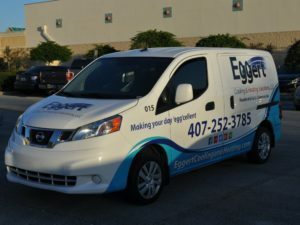 Eggert Cooling & Heating Solutions is available in Orlando, Clermont, Apopka, Maitland, Windermere, Winter Park, and surrounding areas in Central Florida. Call us at 407-252-3785 for a free quote.